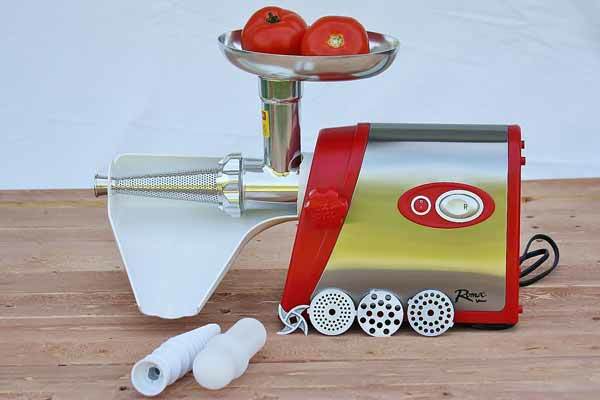 Process tomatoes fast with this electric sauce maker machine. The tomato strainer removes skins, stems, and seeds, saving you hours of labor. This product features three stainless steel grinding blades and a meat grinder attachment with sausage stuffer. It even works as a baby food grinder! Enjoy fresh sauces, soups, salsas, sausages, and more with this all in one food mill machine!